We created this massive custom Chewbacca™ bandolier and bag wall art piece for a client to hang on the oversized door of their home theater. 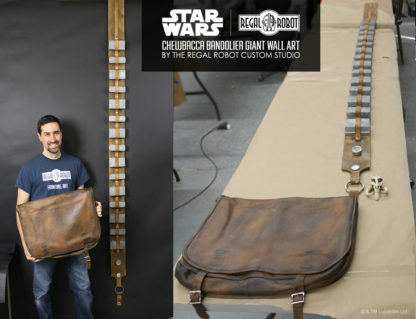 The 7 foot plus long strap of the bandolier is meant to look a bit like the cross brace on a large barn door might. 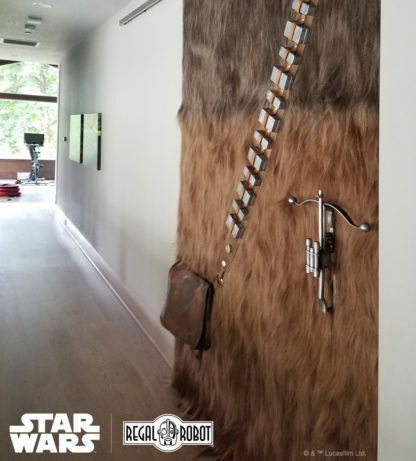 Paired with our Chewbacca™ Wookiee Bowcaster Door Handle and the client’s own fur, they’ve brought a bit of Star Wars™ theming to the entryway to their amazing space. 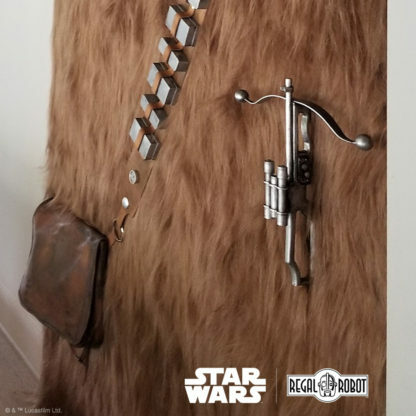 It features hidden magnetic clasps and pockets within to store remote controls (or other Wookiee essentials like hair spray!). 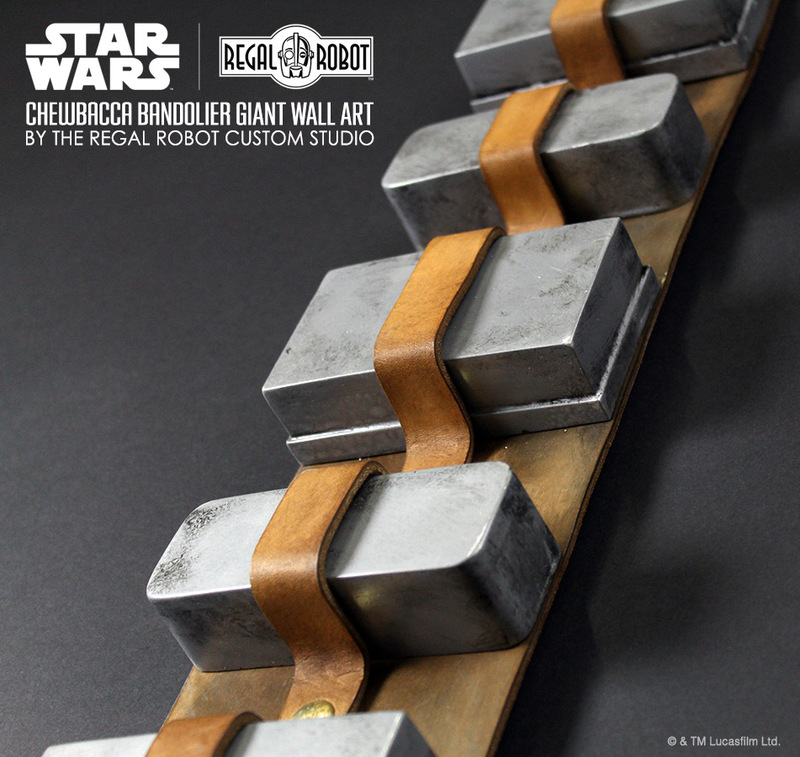 This unlikely concept came out of brainstorm calls between Tom and our client, and Jason Rucci led the build. 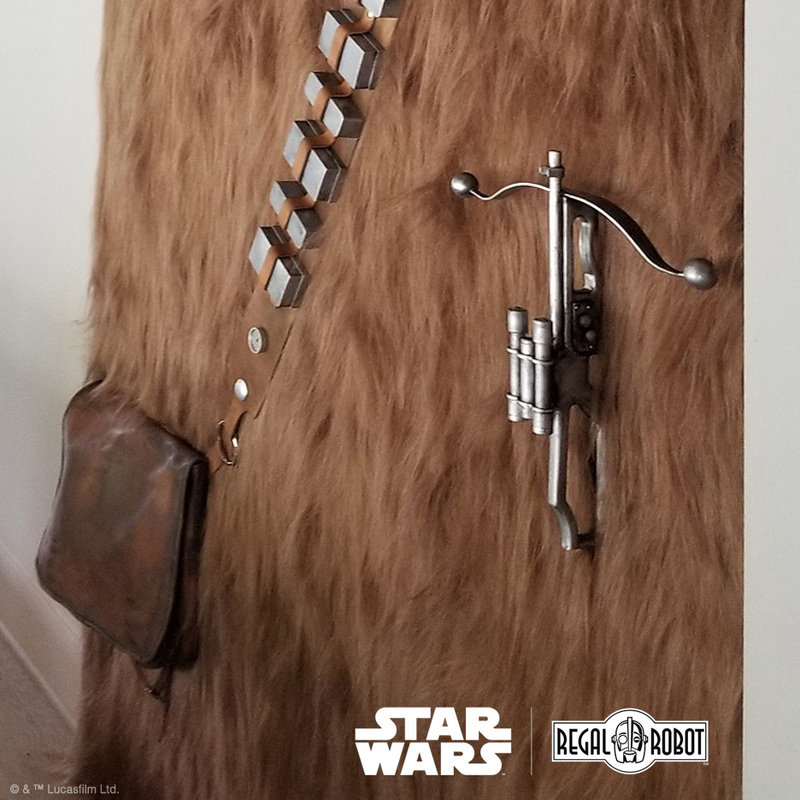 Unlike a Chewbacca™ costume style Wookiee bandolier, this one off art piece is considerably oversized, with the faux metal ammo boxes, leather strap and bag, greeblies and details all increased in scale and created from scratch for this project. 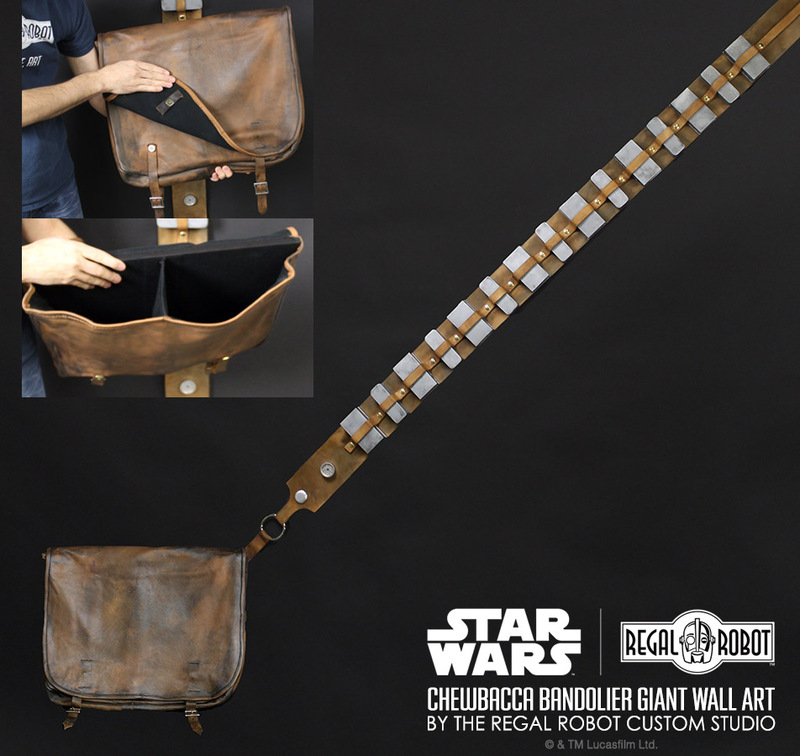 Resin elements were created, leather patterns made and throughout the process, hanging connection points were considered. 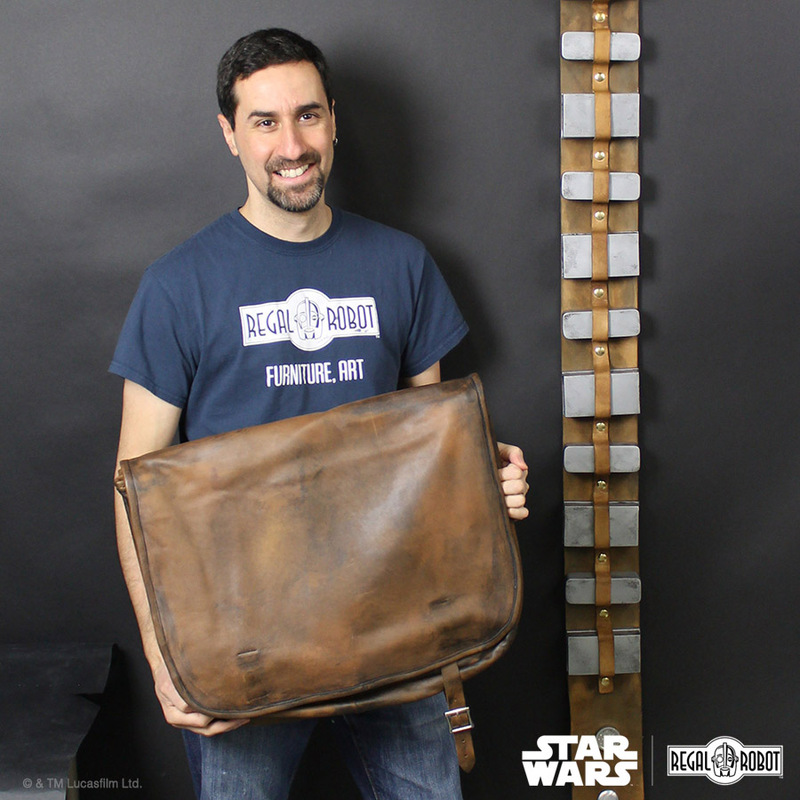 Once done, all elements were distressed with stains and aging for that used-universe look. 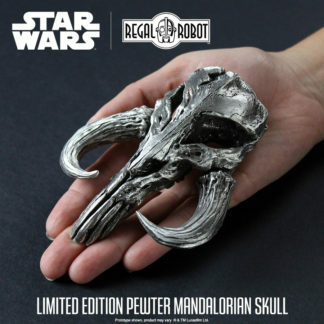 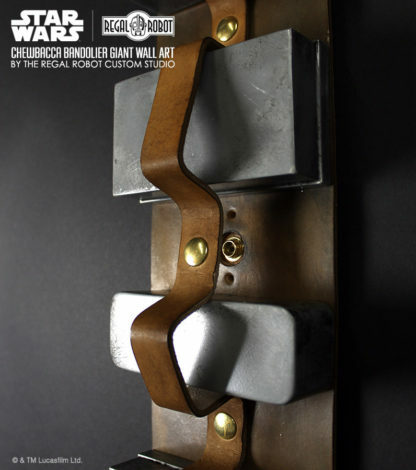 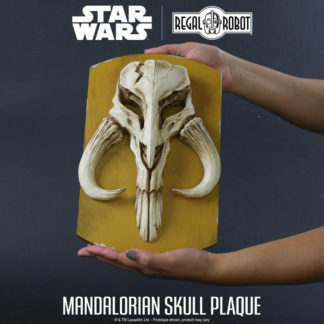 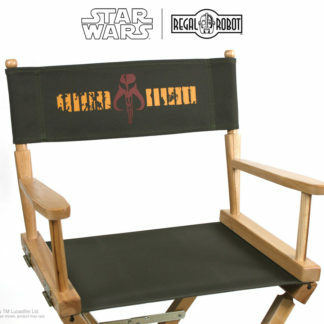 Want to discuss an official Star Wars custom creation for your home, office or fan cave? 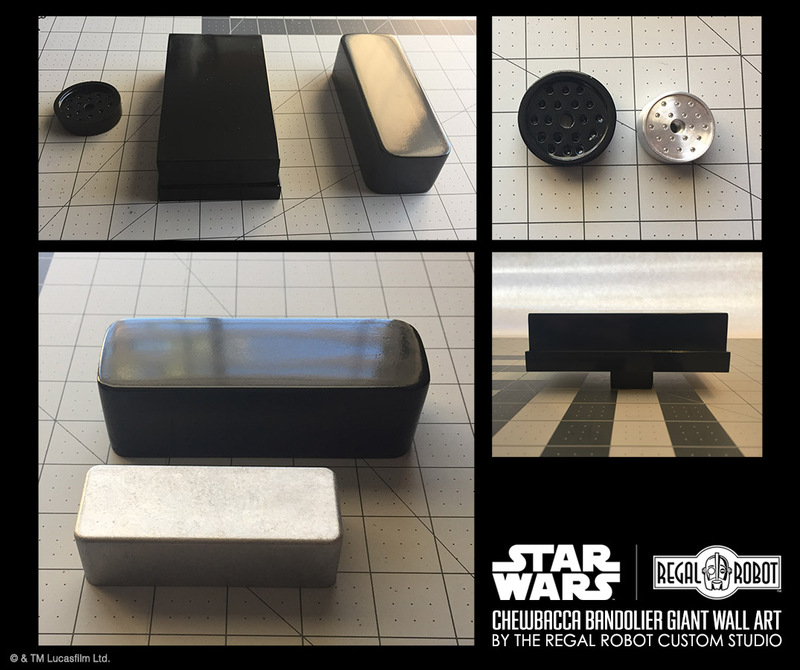 Fill out the form below to begin the conversation and learn what we can make for you!